Toronto got quite a lot of snow overnight! 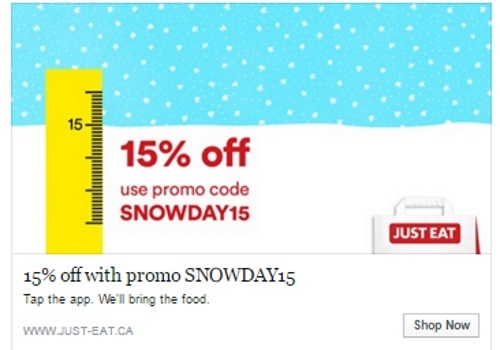 JustEat is offering 15% off your entire food delivery order! Apparently we got 15cms of snow. Enter the promo code SNOWDAY15 at checkout. Offer valid today only, Wednesday, March 2, 2016.